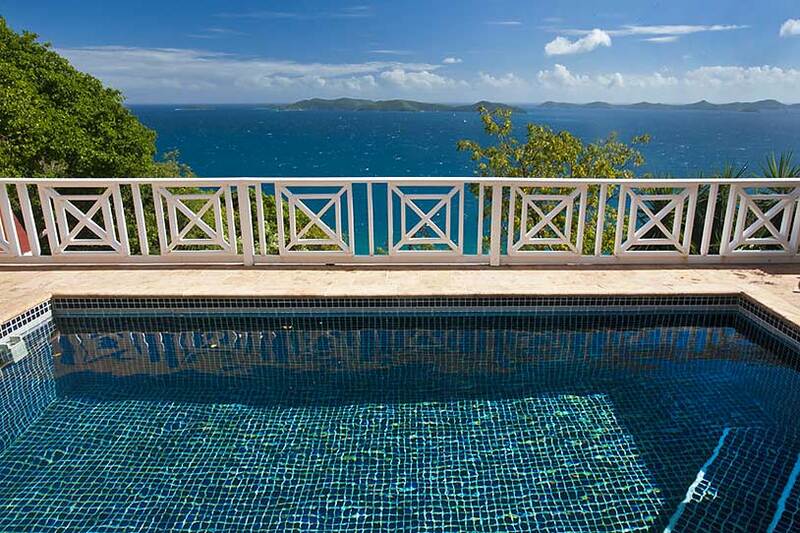 Summer Heights 6 BR Villa Rental – Tortola, BVI – Island perfection for couples or families! Summer Heights’ hillside affords long distance ocean panoramas dotted with green islands and constant cooling trade-winds. A broad staircase of Mexican coral tile leads to the enclosed sunny courtyard accented with river stones. Here the blue tiled pool overlooks sweeping sea vistas. A poolside roofed dining loggia provides a beautiful setting for casual dining and viewing sunsets; just adjacent and looking out to the pool is Summer Heights’ gourmet kitchen and bar. Enjoy the starter bar as you toast the breathtaking views of Sir Francis Drake Channel. A stylish curved glass brick wall separates the kitchen from the very spacious great room which offers ever-changing views of passing yachts. Tortola, Villa Rentals, Villas. Bookmark.